Fiverr is a marketplace where users buy and sell products and services worth $ 5. There are many sites similar to Fiverr. Fiverr users provide a wide range of services and products. If you look closely, you’ll find plenty of options for things you need on a regular basis, or websites and blogs. 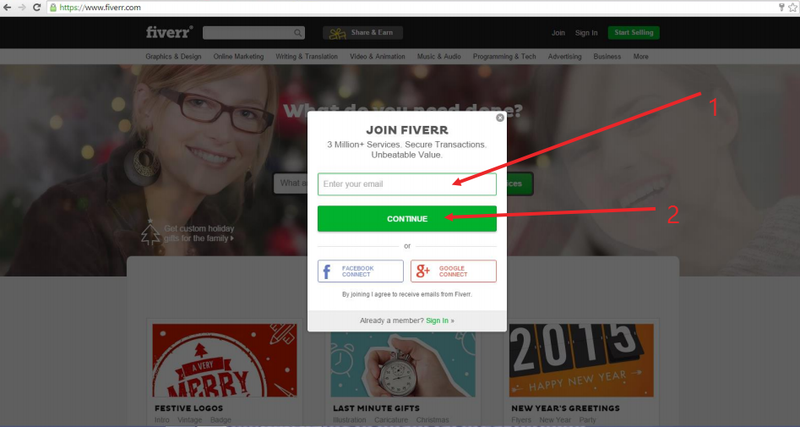 The first thing to get started on fiverr is to join the network by visiting their website http://www.fiverr.com and click on Join and enter your email address. After clicking on continue, you will have to enter your username and password. Here you can select any username and password of your choice and then click on join. 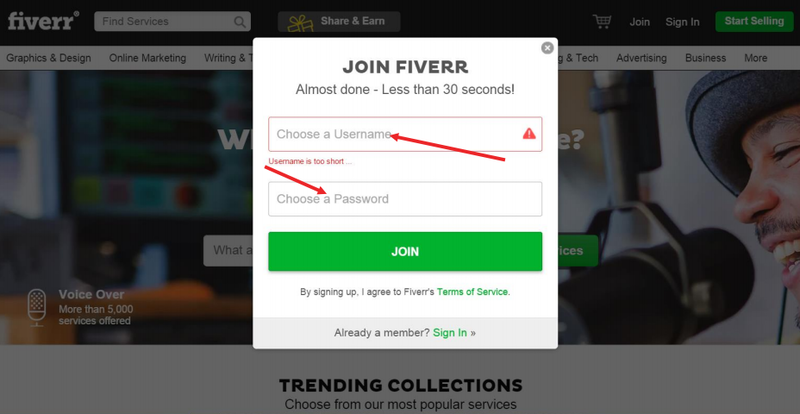 Please note that immediately you click on join, a verification link will be sent to your email box, so you have to login to click on the verification link before you can continue with your fiverr business. The first task is to set a security question. You will be asked to provide the answer to your security question whenever you want to withdraw money or change your password so put an answer you will remember. The second task is the most important but let us look at task number three which is where you will have to upload your photo and write something good about yourself. Everyone knows that a profile is where we have information about ourselves like the when you started internet business, the packages you are into and so on. After completing number three task then go back to number two and click on create. This is where you will create the service you are rendering on fiverr. The third task iswhen you click on create a gig ,it will display the page where you will have to create the service you are endering starting with the title of the gig. NOTE:A gig is a piece of information you are giving out or 5 dollars. now let’s do a small calculation..